Trevor Forster, Managing Director of Titan Enterprises Ltd. The most recent development is the ruggedized version of the Atrato flow meter for harsh environments. Titan Enterprises provides a wide variety of flowmeters. IEN: Mr Forster, roughly five years ago, Titan Enterprises introduced the first Atrato ultrasonic flowmeters to the market. What distinguishes this series from conventional flowmeters? Forster: This range of meters is an entirely new concept. The construction, hardware and software bear no resemblance to the existing products. The ultrasound is injected in a different way to normal resulting in very strong signals with very little background noise. Using these waveforms our unique algorithms in the software produce an accurate flow reading over a large 200:1 flow range. After the development phase we used industrial designers to give the product a unique appearance to match the high performance. IEN: Most recently, your company developed a ruggedized version of Atrato. Could you please tell us a bit more about the technical details and which industries this product targets? Forster: Over the last few years we have developed our processes and produce a flexible development platform we have called "Hedgehog". This has given us the tools to improve the meters performance. The result was the requirement for different construction methods and more advanced electronics. 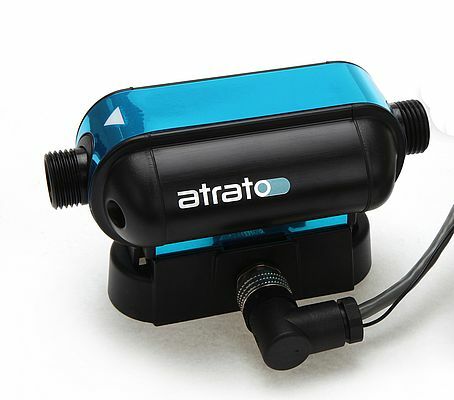 The Industrial Atrato is designed to be a high performance meter from the outside in. It has an enclosure and electrical connections rated at better than IP65. The PCB is made to aviation standards using industrial specification components. The ultrasonic sensor and tube assembly are an entirely new concept. The flow is actually rotated through 180° whilst carrying the ultrasound. This gives us a longer period for the time of flight and hence a greater differential phase shift for a given flow resulting in more sensitive meter. The resulting range of meters are ±0.5% devices over the entire flow range with an extended lower end range with ±1.0% accuracy. It is rated at 50 Bar and 100°C. The target industries are the demanding ones, chemical plant with corrosive atmospheres, wet rooms, food processing plant and eventually offshore when we get an intrinsically safe model next year. IEN: Where did the impetus for developing an Atrato flowmeter for harsh environments come from? 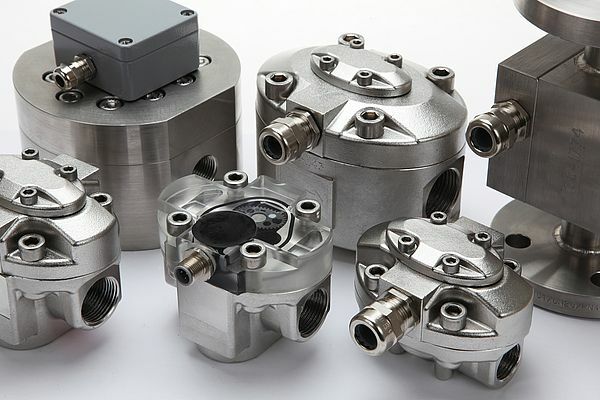 Forster: The standard Atrato is excellent at metering aggressive chemicals but was experiencing difficulties in corrosive atmospheres with the aluminium housing and standard stainless fasteners. This coupled with the fact that we could make the meter much better with a different construction lead to the existing configuration. We are also in the process of developing the concept for totally non-metallic and low cost versions. IEN: Again, what is the difference of the new Industrial Atrato on the one hand, and other flowmeters available for the process industries on the other? How do you achieve those special benefits? Forster: We see our main target market as the people who are currently using, or would like to use, the top of the range Coriolis meters as our performance is approaching these iconic products at a considerably lower cost of ownership. The other low flow meters in this area tend to have poor accuracy, a slow response time or bad construction. Like the Coriolis the Industrial Atrato will handle changes in viscosity, density and therefore Reynolds number, the majority of meters operating at these flow rates are fluid specific and respond poorly to changes in the liquid properties. The Atrato ultrasound signal effectively integrates the entire flow profile and records the mean velocity across the whole tube diameter so changes in velocity profile have no effect; Changes in Reynolds number equally make no difference as the signal is passed in both directions in a matter of microseconds so ignoring tiny changes in fluid motion. IEN: Obviously, Titan Enterprises has a close collaboration with the Department of Process & Engineering at Cranfield University. What can such a scientific research institute contribute to new product developments? Forster: Cranfield came up with the initial concept. We were looking for alternatives to our existing mechanical products to carry the company forward and ensure growth. We approached several universities to see what was becoming available. Our requirement was for a meter with no moving parts and a wide range of operating parameters, ultrasonic seemed to answer the questions the problem was that no very successful small bore ultrasonic principles existed. We would be breaking new ground and Cranfield had just filed a patent which appeared to satisfy our requirements. The original target specification for the theory put forward suggested a 2% device operating over a 20:1 flow range. The final product now has a 200:1 range and 1% accuracy. The university was crucial in the development process. We had no knowledge of this technology and their support and patients paid off over the 8 years we worked together. The contacts they generated resulted in us employing one of their ex post graduate students as our chief software/electronic design engineer. IEN: Apart from the Atrato flowmeters, what other solutions does Titan Enterprises offer for the industrial market? Forster: Over the past 32 years we have developed a whole range of metering solutions based on both Pelton wheel and oval gear technology. Our oval meters are among the most advanced, reliable and versatile on the market. They will operate on both low and high viscosity liquids on flows from a few ml per minute up to 500 L/Min at pressures up to 700 Bar. The turbine based products operate at low flows of low viscosity liquids and are manufactured in chemically resistant materials which are ideal for pilot plant, additive injection and small batching systems. IEN: In the foreseeable future, what would you name as the most challenging aspects you have to meet in terms of product development? Forster: Simply keeping ahead of the herd. As a company I feel it is imperative to continue development. I do not understand companies who rest on their laurels because they have a good product it will not be long before someone has a better one. We are a small team and 95% of our business is either repeat business or OEM applications. These original equipment manufacturers come to us for bespoke devices in modest quantities and this requires engineering input. Making time for future products is difficult but over the next year we hope to release further meters based on ultrasound. All polymer low cost devices, high pressure and an intrinsically safe version of the Industrial Atrato are all on the horizon. Keeping up with the ever increasing demands in legislation I personally find irksome, there seems to be an ever expanding set of requirements and never simplification!